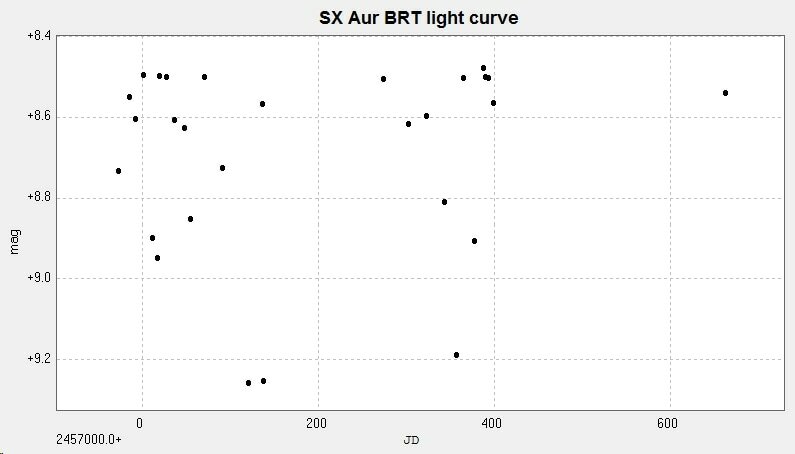 ​This light curve and phase diagram are constructed from photometry of 28 images taken with the Bradford Robotic Telescope Cluster Camera (BRT) between 2014 November 11 and 2016 October 1. The images were taken through their tri-colour green filter. ​This primary minimum was observed from Somerby Observatory using the 2" Titan camera. Images were unfiltered. 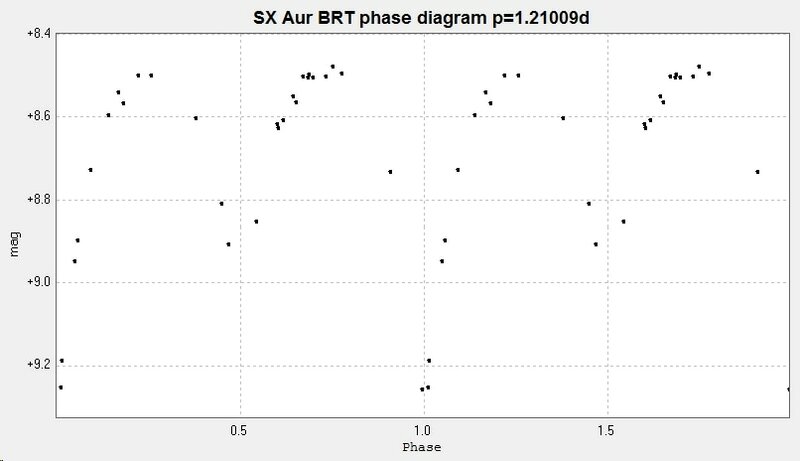 ​Combining the BRT and Somerby results generated the following light curve and phase diagram The BRT results are in black, the Somerby results are in red. ​This visual primary minimum was observed from Somerby using 15x80 binoculars. Combining all three sets of observations generated the following light curve and phase diagram. The visual observations are in blue, BRT in Black and Somerby (2" Titan) in red. There is o-c activity in this system.